The Samsung Galaxy S4 has an IP67 rating - but what does that mean? The Galaxy S4 Active has an IP67 rating – but what does that mean? The Samsung Galaxy S4 Active was officially unveiled earlier today, becoming the first high-end “rugged” smartphone from the company. We’ve been hearing a lot about the device’s IP67 rating, which means that it is completely dust-proof and will function normally even after being dipped in water for up to 30 minutes, up to a depth of 1m. But what is the IP rating system? What do the numbers mean? 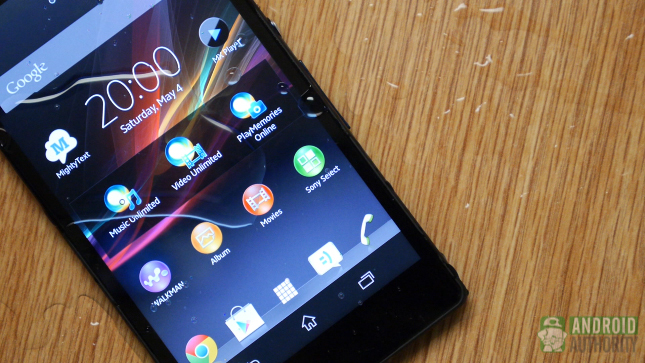 What are the ratings for some other dust and waterproof smartphones like the Sony Xperia Z? These are some of the questions we’ll be taking a look at today. Not to be confused by the more commonly known Internet Protocol address, IP in this case stands for Ingress Protection, or International Protection, which is a rating system that defines how well an enclosure protects its internal electric equipment, such as the internal hardware of a smartphone, against environmental factors such as dust and rain. The IP rating system was developed by the International Electrotechnical Commission, and is defined in the IEC 60529 standard. The rating consists of numerical values, with each digit defining a different aspect and level of protection afforded by the enclosure. When there is no protection with regards to one of the criteria, the digit is replaced with an X. The first digit refers to protection against solid objects, ranging from 1 (protection against accidental touches by hand) to 6 (complete protection against dust). Solid objects can refer to anything, including fingers, tools, wires, small wires, and dust. Check out the table below for the detailed explanation of each number. The second digit refers to protection against water intrusion, and ranges from 1 (protection against condensation) to 8 (immersion below 1m and under pressure). Once again, check out the table below for each rating number and the level of protection provided. As we all know, the IP rating of the Samsung Galaxy S4 Active is IP67, which means that the device features complete protection against dust, and protection against water immersion up to 1m and for up to 30 minutes. While the Galaxy S4 Active is the first high-end smartphone to boast these features, two other devices from the company, the Galaxy XCover and the Galaxy XCover 2, both are IP67 certified as well. Another rugged smartphone with an IP67 is the Kyocera Torque. On the other hand, the Kyocera Hydro Edge and Hydro XTRM, which were shown off at CTIA 2013, feature an IP57 rating. Another rugged smartphone that was presented at the event was the CAT B15, which, as expected, features an IP67 rating. Of course, before the Galaxy S4 Active, there were a couple of other high-end devices that touted dustproof and waterproof features, namely the Sony Xperia Z and the Sony Xperia Tablet Z. Both devices feature a rating of IP55/IP57. The double rating as far as protection against water is concerned is because of the compliance with both factors, that is, protection against low pressure jets of water from all directions (rain), as well as immersion in up to 1m of water for up to 30 minutes. If you’re in the market for a smartphone or tablet, or any other electrical equipment for that matter, and are worried about protection against dust and water, you know now what to look for. As far as the Samsung Galaxy S4 Active is concerned, it’s definitely fit for the outdoors. Don’t forget to check out some of the differences between the Galaxy S4 and its rugged counterpart to find out which is best suited to your needs.